Bom lugar para ficar. Localização excelente e atendimento incrível! 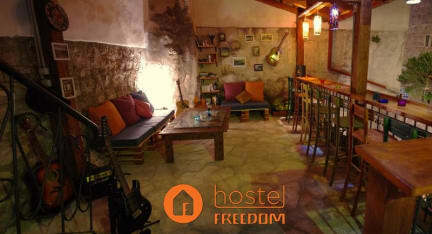 This is the best choice if you are planning to stay in Budva. They have a nice terrace where you can drink until late. They don't offer many activities, but the atmosphere is nice. My suggestion is to get the smallest rooms because they are in the same building of all the other facilities. I stay in another building that dont have wifi. The shower and toilet was clogged, the bed was not confortable and the stairs to the top bed are so thin that almost impossible to up.